Here’s something to start your week on a positive note. It’s a great honor to be a part of Mindful Monday. I’ve enjoyed reading this feature on Silver Threading as it always provides inspiration for moving forward. When I was asked to participate, I leapt at the chance to put forth my own experience with finding the “silver threading” in my life, particularly right now when my husband and I are going through major changes. I finished reading The Truest Pleasure by Robert Morgan this past weekend. This book sat on my shelf—a literal shelf, not on my Kindle—filled with books I’ve been meaning to read. The Truest Pleasure probably sat there the longest and has made five moves with me. The book sat, waiting for the perfect moment when I needed it most, in the place where it would speak to me the loudest. I thought this a lovely way to begin a summer weekend. Some good news in a world often gone mad. Happy days to you. 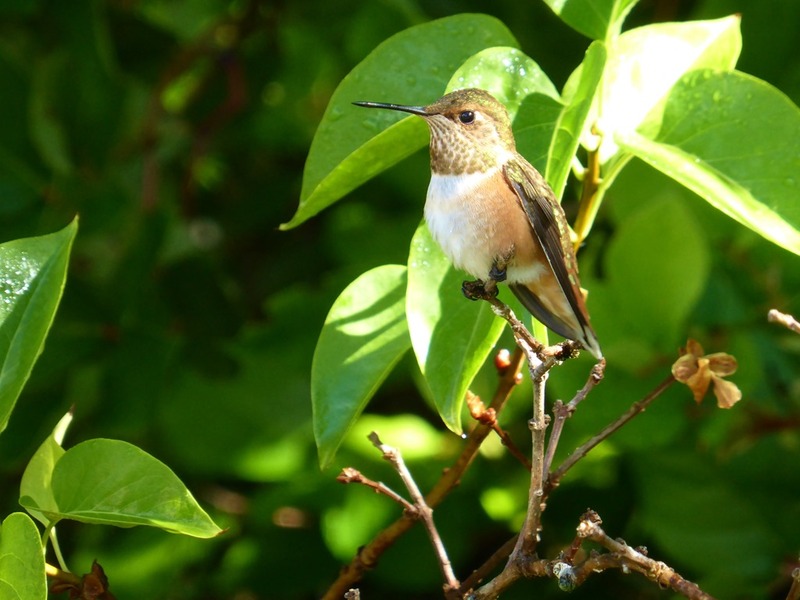 I’ve wandered my garden for weeks with my camera at the ready in the hope that I might capture a hummingbird in the wild photo. This morning I was in the right place at the right time. I hope you take as much pleasure from these two photos as I have. 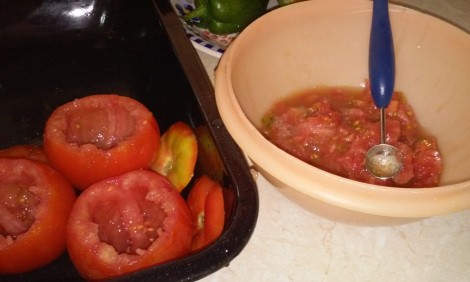 I have to share this recipe from my Greek friend Fros. I have to do this very soon! Summer’s here at last! 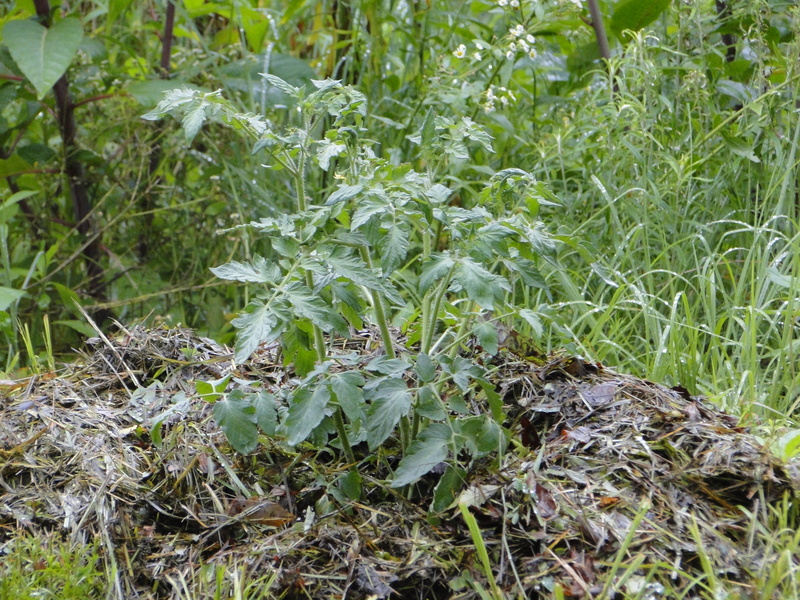 The tomatoes are ripe and sweet, and there are ample quantities of fresh spearmint in my garden. 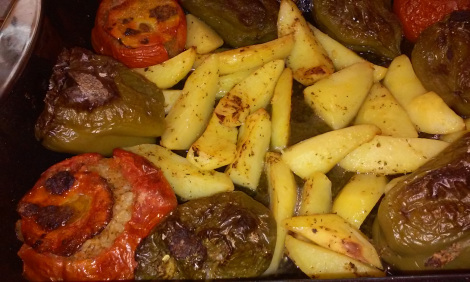 For the Greeks, these are the perfect excuses to make Gemista (stuffed vegetables with rice) more often than any other time of year. The below recipe will show you step-by-step with my pictures, how to make this delicious traditional Greek meal. 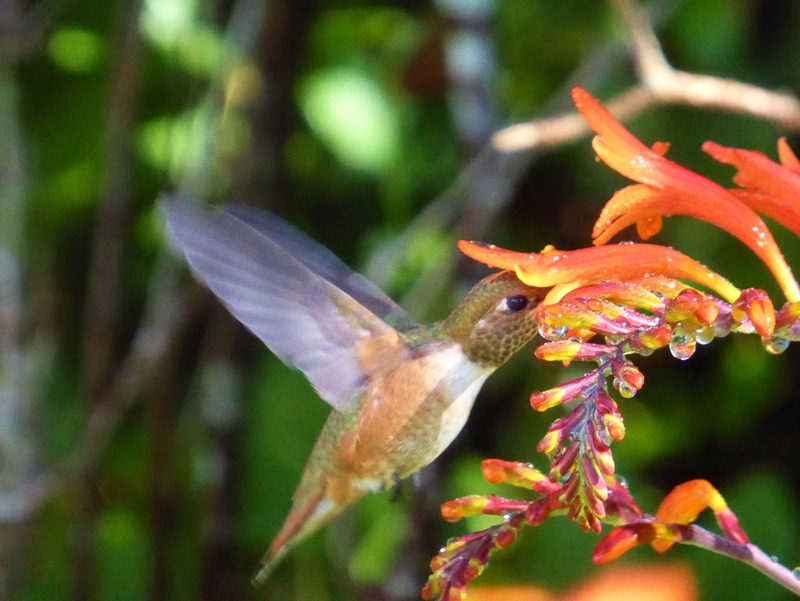 Hello – a Happy July to you all. We moved into the new digs this past week, but head back to Pittsburgh in a few days. I hate to leave but I still love the Steel City and plan on enjoying my last few weeks living there to the fullest. 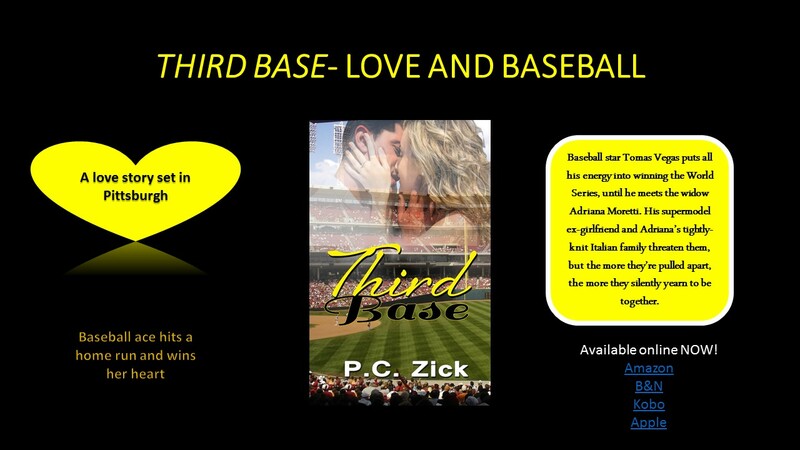 In between all the moves, I still managed to finish my new romance, Third Base. It’s set in Pittsburgh, where I’ve created a winning Pittsburgh Pirates team with ace third baseman Tomas Vegas who hails from Puerto Rico. He falls in love with Adriana Moretti, a young, beautiful, and successful widow whose Italian family keeps a close watch on all of her romantic entanglements. 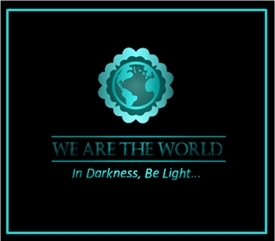 Tomas must also deal with his super model ex-girlfriend whose not taken kindly to being dumped by the rising All Star. Lots of fun times in the Steel City this summer! Third Base will be a part of the Score One For Love box set, which comes out later this summer and is filled with sports love stories by nine other authors. Our entry into living atop a mountain didn’t begin with any auspicious drum rolls. In fact, if I took those first few hours after arrival at our cabin with two vehicles and a U-haul trailer as a sign, it would send me right back to Pittsburgh. But life throws us those little curves so we know how wonderful it feels when things go from bad to good. We left Pittsburgh on a Friday morning around 6 a.m. in our little caravan of loaded vehicles and trailer. Mostly a smooth drive, but long because we both needed to stop often. Probably our tiredness and exhaustion from preparing to move was the key to our lack of stamina for what should have been a nine-hour drive. 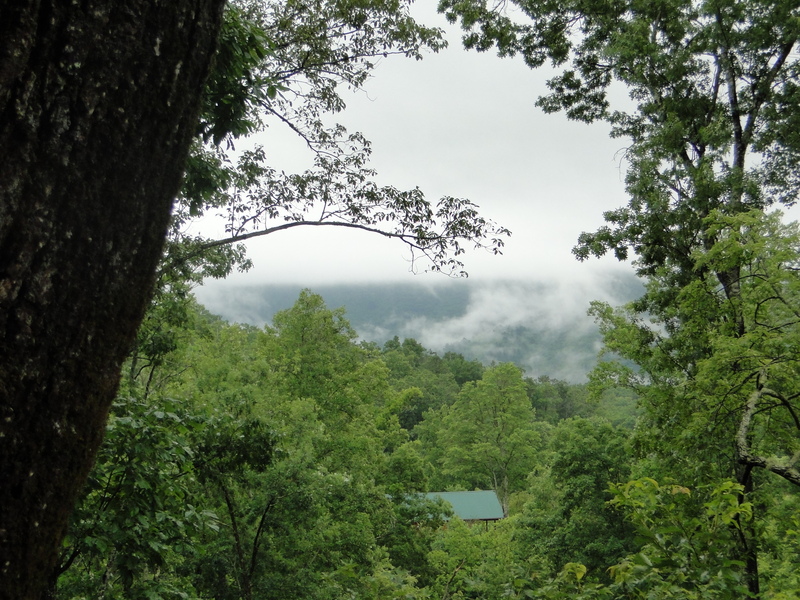 Within an hour of the new place, dark clouds came rolling over the mountains. Around 6:30 p.m. we pulled down our road. Unfortunately, the rain had started, and we forgot which of the turn offs led to our cabin. A newly installed steep driveway at our neighbors confused me, and I led our caravan up the wrong drive. 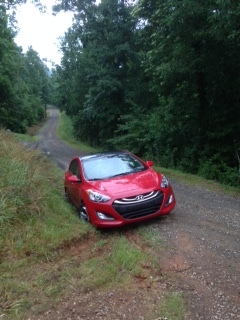 I backed up my little Hyundai–right into a ditch. 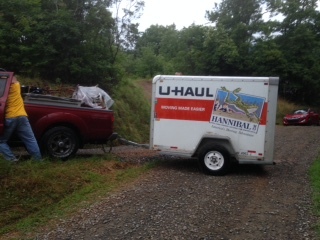 My husband had headed up a very steep drive that was not ours with the truck and trailer. When he tried to back down, he ended up jack-knifing the trailer, blocking the road up to our driveway. Two hours and one wonderful tow truck driver later, we arrived with everything intact, albeit wet, at our cabin. 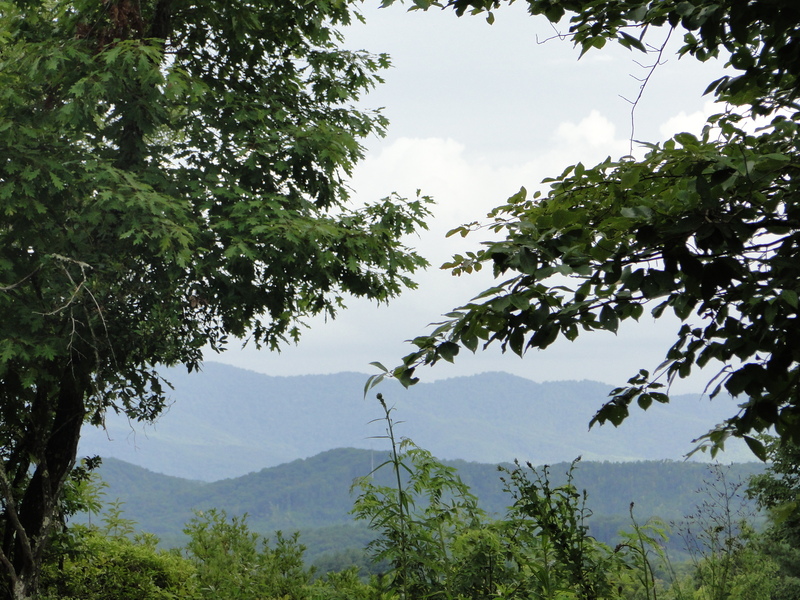 We wondered if we’d made a hasty decision in moving here, but daylight and views of the smoke on the Smokies changed our minds. 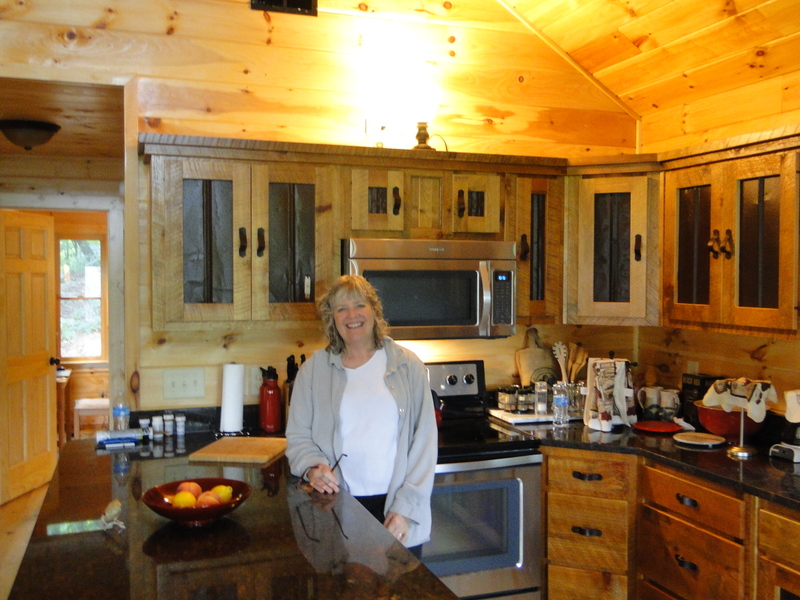 So did the beautiful cabin that we’ve spent this week making our own. I brought my office desks and a dining room table. The rest of the furniture we purchased here, but it won’t arrive until our next visit later this month. As our ten-day stay nears an end, I yearn to stay. This place has grabbed me despite the incessant rain for the past five days. I feel at home here already. I can tell because I’ve been able to work on my next novel every day this week. The words come easily in my new office, and it feels like the place where I’ll write plenty more novels. Yesterday, my husband planted two tomato plants and two pepper plants. That’s always a sure sign that we’re home. WORD OF CAUTION: “Someone” in our crew threw in a large bottle of anti-bacterial hand soap at the last minute. 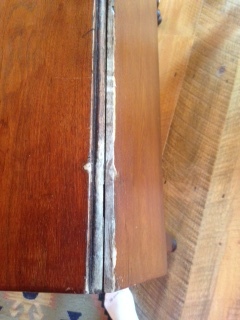 It came open on the trip and dumped all over a table my great aunt made more than one hundred years ago. The table had been draped in a quilt made by my grandmother seventy-five years ago. Over that I wrapped an old tablecloth and put bungie cords around the whole thing. 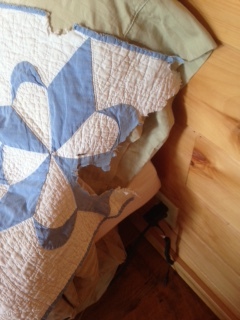 To our surprise, that soap acted as a harsh chemical and ate through the tablecloth, quilt, and damaged parts of the table. I don’t use this stuff and it wasn’t supposed to come on this trip, but “someone” saw it on the floor of the garage where we’re staying in Pittsburgh and decided it would fill a hole nicely. I’m even more convinced that I’d rather not use this stuff on my hands.